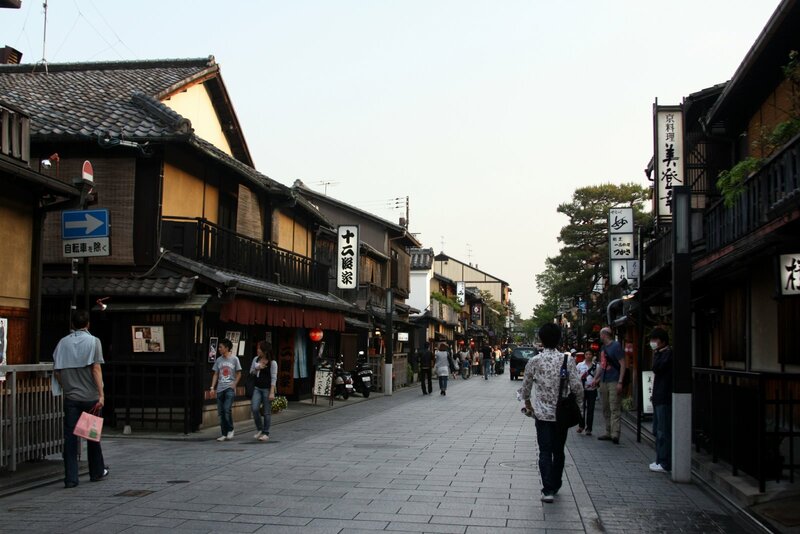 Kyoto is the previous capital of the old Japan and is most famously known for the large amount of temples dotted around the city, and the traditional wooden houses in the Gion and Higashiyama districts. Kyoto is very traditional in some areas, and it is worth exploring as many different temple areas as you can, as many of the smaller temples are some of the more spectacular. 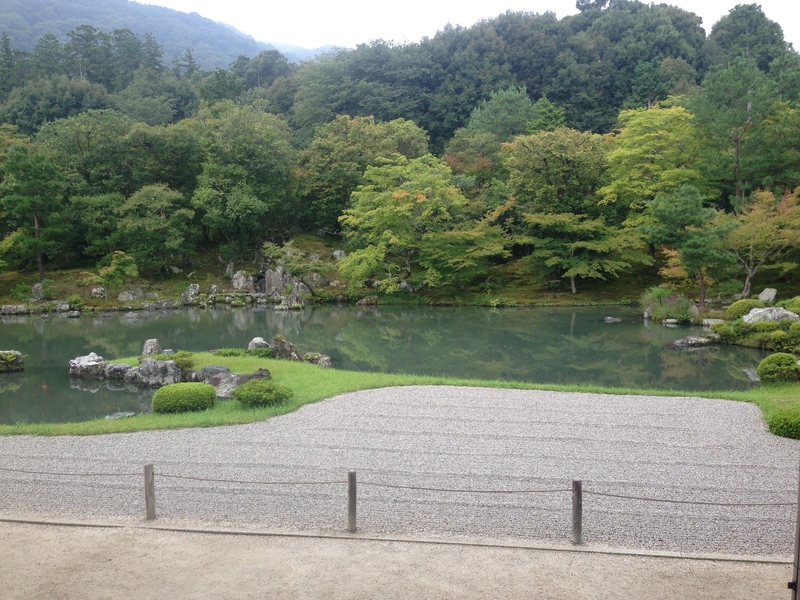 The city is famous for two main tourist attractions- Geiko (geisha) and matcha (powdered green tea). Geiko are found walking in Gion and Higashiyama, as the majority of temples and tea houses where they entertain wealthy business men or gaggles of tourists are located there. The green tea of Kyoto is famous around the world- matcha is one of the key exports from Japan, and much of it comes from Kyoto. 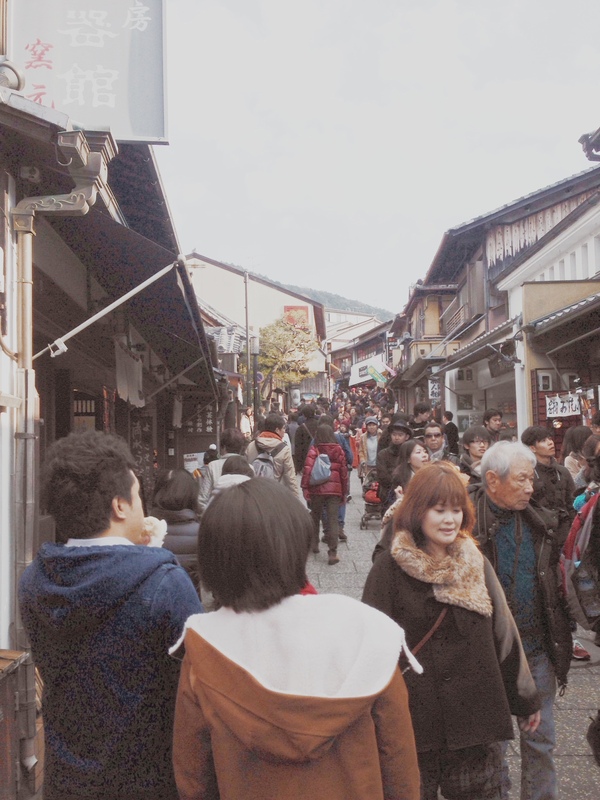 While Kyoto is quite large, many of the sights located in certain areas (especially on the Eastern side of Kyoto) are within walking distance, and it is fun to explore the old districts looking for food, souvenirs and museums. If you have more time to explore Kyoto, it is worth taking the train to some of the outskirt sights, as many are truly spectacular too, like the Inari Temple located just 15 minutes away from Kyoto. Higashiyama is one of the two most famous old districts of Kyoto. While it may be busy at times (this photo was taken near New Year’s), it is still worth going as it has one of the most beautiful temples there (Kiyomizudera Temple) and the old buildings and the quiet feel during less festive seasons add to its charm. It is worth walking around some of the backstreets here- there will not be as many people, however you may find a small tea shop selling a traditional matcha dessert or a quiet gallery selling incredibly detailed flower and nature paintings. Its a good idea to visit the area during the ten-day Hanatoro and wander the dark alleys with the pretty light of the lanterns. While it may be the smaller and less garish out of the two well known temples (the other being the Kinkakuji), it is also the more beautiful in my opinion. The temple was meant to be covered with silver foil, just as the Kinkakuji is covered in gold foil, however this was delayed as a result of the Onin War. The little path up to the temple is full of shops and places to relax and sit down, while the temple itself is surrounded by a beautiful garden, said to be designed by the great landscape artist Soami. The walk around the garden is short, and gives more time and space to reflect on the temple’s surroundings, as the crowds are far fewer here. The mountain of sand in the garden symbolises Mount Fuji, which is closely linked to both Kyoto and Tokyo. Out of Gion and Higashiyama, Gion is certainly the most famous, known primarily for the Geiko flitting around the narrow streets in beautiful red and black kimono, with highly decorative headdresses, rushing to their next business appointment. You may see young Japanese girls and tourists in similar garb or in brightly coloured yukata (light summer kimono) and kimono (in the winter), however they are only dressing up, and are certainly not geiko. Gion is also a great district to buy some local snacks- many of the shops along the way sell Japanese rice crackers, sweet sugar sweets, dango (rice balls with sweet soy sauce) and wagashi, as well as umeboshi (pickled plum) and sake. The majority of the shops have been around for decades, and are worth visiting for their traditional production techniques and amazing natural flavours. 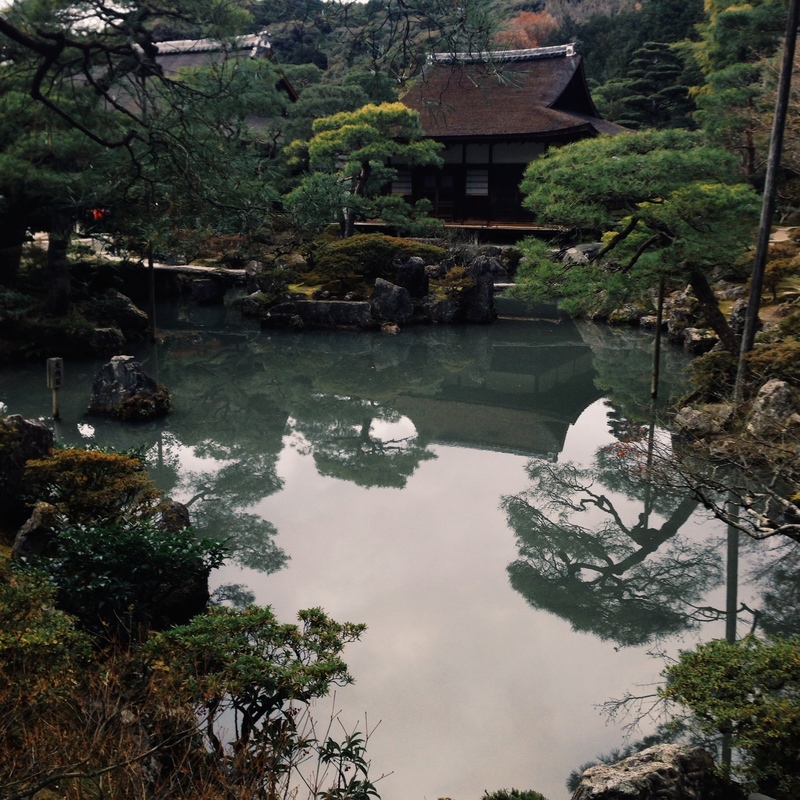 As one of the many UNESCO World Heritage sites in Kyoto, Tenryu-ji stands out in particular because of its serenity and its beautiful garden. As with many of the Kyoto gardens, the temple house is linked to the garden through a small passage across the tatami mats to the engawa where you can sit and relax and view the garden from all angles. A special day trip to Tenryu-ji will guarantee a chance to visit Arashiyama and the Togetsukyo bridge, where in the spring you can see the cherry blossoms bloom along the shore. While in the area, visit the local shops along the way to the bridge, then cross it and climb up the Iwatayama Monkey Park, where you get to see monkeys roam completely free at the top of the mountain. The Fushimi Inari Shrine is one of the most visited shrines outside of Kyoto (although it is a very short trip so don’t worry) and yet the climb up up through the thousands of tori gates is very secluded, especially along some of the less travelled paths. You do not have to complete the route all in one go, as there are a few different paths, and a couple of stops along the way. 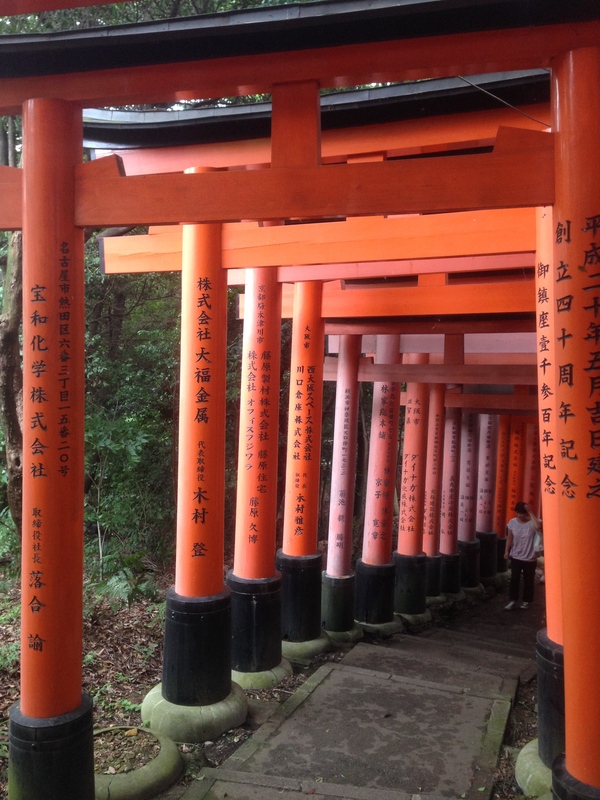 You can grab a drink and have a rest before you climb up to the top where there is a small main shrine lined with thousands of individual family shrines covered with Inari statues. Over a third of the shrines in Japan are dedicated to Inari, and the Fushimi Inari is the head shrine, worth paying particular attention to. Thank you for this! i will be travelling i Japan next year and will use this as guide in Kyoto. I’m so happy you’re going to Japan! Kyoto is wonderful, and I will be posting some things about what to do off the beaten path, as the main tourist attractions are sometimes a little suffocating, and Kyoto is lovely when there are less people. I will, thank you! New post on Essential information for Japan should be very helpful!